Andrew Crowe could arguably have one of the most important farming roles in Australia. He uses his Moree, NSW, farm to grow barley which is used to make beer. 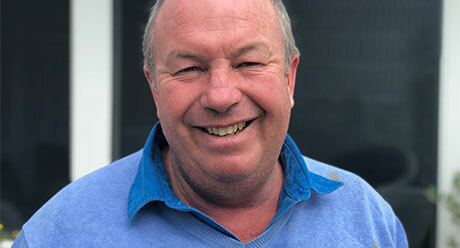 He operates his farm as a monoculture, and carefully runs down soil fertility so he can then manipulate artificial fertilisers to deliver barley with consistent protein levels. At the same time, he is conducting farming practices that make the most of soil moisture. This is achieved through practising minimal/zero tillage with a goal to improve, develop and retain natural stored moisture while maintaining a clean healthy farm. One of the greatest challenges he has operating the monoculture is ryegrass, and as well as looking at alternative crops like cotton, chickpeas and canola, Andrew has an Integrated Weed Management Strategy to tackle the weed issue. Andrew makes sure he has a regular replacement strategy for his equipment and that all staff are trained to the highest level when handling chemicals. He also makes a commitment to taking younger farmers under his wing to mentor them. “Ultimately, it’s about understanding the local environment intimately and making the best decisions based on that knowledge,” Andrew says.